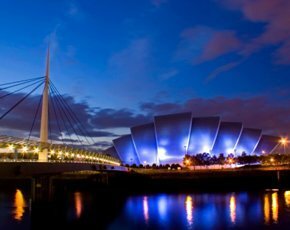 IT services firm Atos has reported that the implementation of IT systems to support the 2014 Commonwealth Games to be held in Glasgow next year is going well. Atos has the job of bringing all this together at the Summer Olympics and Winter Olympics, as well as providing the games management systems and games information systems at the commonwealth Games, so is constantly moving to new locations and preparing the IT. Atos has been the Olympics' main technology partner, responsible for coordinating the many suppliers, since 2002. Work began on getting the IT ready for the 2014 Glasgow Commonwealth Games as soon as the London 2012 Olympics (see IT stats below) and Paralympic Games ended last year. Before Glasgow 2014, however, the Winter Games will take place in Sochi, Russia, in February, and Atos is already working on the 2016 Games in Rio, Brazil. Technology is critical to the smooth running of any major sporting event, which requires a plethora of business systems, specialist sporting systems, as well as masses of IT hardware to support staff, competitor and spectator demands. Atos is providing systems that manage staff and competitors, such as the volunteer portal, games workforce management and accreditation management systems. It also builds and supports the Internet Results Service. Gavin Thomson, Atos senior vice-president – Scotland, said IT preparation is well underway. The London 2012 website became the most popular sports website in the world. It had 38.3 billion page views, peaking at 96,871 page views per second. Some 1.2PB of data were transferred over the website, with a peak of rate of 22.8Gbps. On the busiest day, there were 13.1 million unique visitors. During the Games, the Olympic network – which connected 94 locations (including 34 competition venues) – carried 961TB of information. Olympic traffic to the BBC website exceeded that for the entire BBC coverage of the Fifa World Cup 2010 games. On the busiest day, the BBC delivered 2.8PB, with the peak traffic moment – 700Gbps – occurring when Bradley Wiggins won gold. The BBC saw 12 million requests for video on mobile across the whole of the Games. During the Games, daily video traffic over BT’s retail broadband network increased on average by 19%. Atos transmitted the results to the world’s commentators in 0.3 seconds. Around 13.2 million minutes (or 220,000 hours) of BT Wi-Fi were used across the Olympic Park venues. Acer provided 13,500 desktops, 2,900 notebooks, 950 servers and storage systems, and a number of tablet PCs.